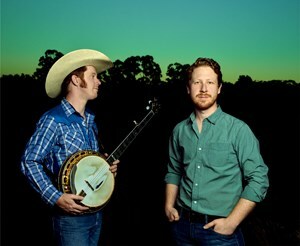 After eighteen consecutive years performing the Tamworth Country Music Festival, three Golden Guitar Awards later, Hamish and Lachie returned with their eighth studio release in April 2017, 'All You Need Is Music', which was recorded in Nashville and features 12 new original Bluegrass & Country tracks. Established in 1916, The Paragon is Australia's oldest running and most original café and certainly one of the most opulent ever built in this country. Situated in the heart of Katoomba the Paragon is an iconic landmark that is an essential stop on any visit to the Blue Mountains. The three rooms that comprise the Paragon: Café, Formal Dining Room and Cocktail Lounge are some the finest and most richly detailed Art Deco interiors anywhere in the world. The Paragon is a family friendly venue! *Minors must be accompanied by a parent or guardian and supervised.